How do you handle your emotions? Do you keep them in? Do you show them outwardly so everyone knows how you are feeling? Adoption is an emotional roller coaster. There is stress in all the paperwork that needs to be completed; there is stress in the home visits, and probably the biggest stress is not knowing if and when you will have a child become your own. There is gratitude and happiness when each step is completed because you feel you are a step closer, and then there is the unconditional love when you hold your child for the first time. In domestic adoptions, once the home study is complete, most families will create a profile book that will be shown to expectant mothers. If the expectant mother is interested, everyone will meet. If the meeting goes well and the pregnant mother says “I pick you,” they will be considered “matched.” But what does “being matched” truly mean? Being matched means that the expectant mother has the intention of placing the child with the family to whom they are matched. Based on the level of comfortability, they can have contact and keep in touch. If the expectant mother chooses, she can invite the matched family to attend prenatal appointments. This period looks different in each instance and with each person. While there is and there should be excitement during this time, there is also a small amount (ok, let’s be real, a huge factor) of hesitation. This is due to the fact that the expectant mother can change her mind anytime up until she signs the termination of parental rights forms. These are typically signed 24–48 hours after birth. We personally experienced this a few years ago. 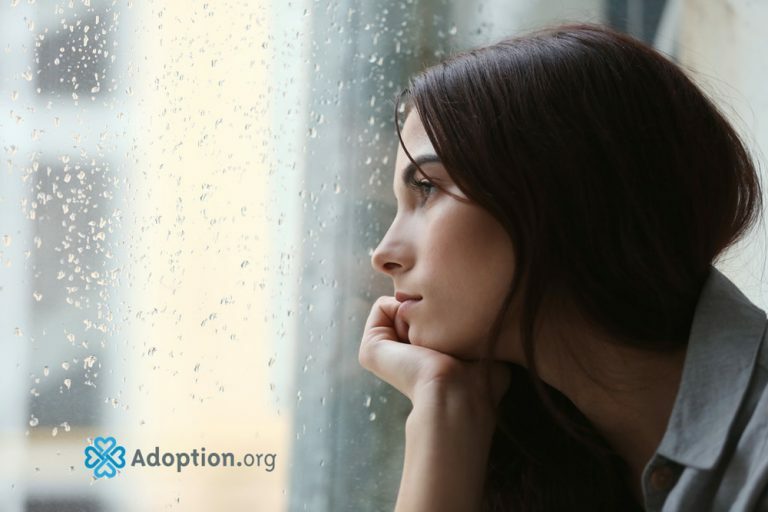 My husband and I met with an expectant mother through our adoption agency. She had seen our profile and wanted to meet. Our agency set up a visit with an agency worker to facilitate. We met and were able to get to know each other and ask each other questions. Later that day, we received the call that the expectant mother liked us, and we were matched. The level of excitement and happiness that we felt was surreal. She was due about two months after our first meeting. We were able to share phone numbers with each other and started texting back and forth. We also were able to meet some of her extended family. Medically, everything was going well with the pregnancy, and she would text us updates after her doctor appointments. She also let me know she would like me in the delivery room with her. Over those two months, we continued to text and eventually learned she was going to be induced on a certain day. The day before the induction, we received a call from our adoption agency. The expectant mother had changed her mind about her plan to place the child for adoption. We were devastated even though we knew that it was a possibility. We had a nursery ready for our baby, but that door stayed shut for many months. We took a small amount of time just for us, as we already had work scheduled off, for we thought we would be on maternity and paternity leave. We took a little time and then we wanted our name back on the list to show profiles with our agency. Grace was with us, for only five months later, we were matched with a three-month-old baby and now have a beautiful and spunky five-year-old daughter. My biggest advice with domestic adoption is to not dwell on the fact that an expectant mother can change her mind, but still understand that it can happen. I cannot imagine the love and heartache that every birthmother faces in making that decision for their child. It is a completely selfless and honorable act.